Scholarship Description: Scholarships are available for research programs in pavement engineering leading to Ph.D. (3.5~4 years), M.S. + Ph.D. (4.5 years combined course) and M.S. (2 years). The programs are research based and require publishing of research results in top academic journals. Selected candidates will be involved in government funded research projects. Candidates will receive full tuition fee waiver and salary (Approx. $900~1000 per month for PhD study; $600 per month for Master’s Program). 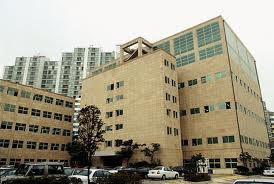 Sejong University is one of the leading private universities in Korea. Bachelor’s and Master’s degree holding candidates with strong academic background from civil/ material engineering are encouraged to apply. Related work experience will be advantageous. University requires scores from one of the English proficiency tests (IELTS – 5.5; TOEFL (IBT) – 80).